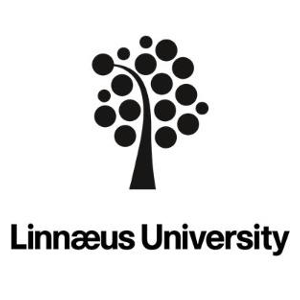 Linnaeus University is one of Sweden’s newest higher education institutions, with around 31.000 students in 150 degree programme. The University was formed when the University of Kalmar and Växjö merged in 2010. Among its structures, the Department of Health and Caring Sciences is leading a research area on informal care and innovative ICT-based solutions supporting older people and informal carers. Results of its research have been recognised at national and international levels. The University has a solid expertise in the area of teaching and learning, knowledge transfer and dissemination methods in partnership with key stakeholder groups: end service users and their informal carers together with practitioners, decision makers and researchers. EUROCARERS is an umbrella organisation bringing together 66 carers’ organisations as well as relevant research & development organisations from 24 countries – a unique combination that enables evidence-based advocacy. The network works to ensure that care is valued and unpaid care is recognised as central to the sustainability of health and long term care systems. Eurocarers’ commitment to shed light on the challenges young carers face and the promising practices that exist to overcome these is proved by the different events organized or co-hosted on the topic: a study visit in Hamburg, in February 2016; a workshop in Brussels in June 2016; the International Young Carers Conference held in Malmö in May 2017. Eurocarers has recently established a Young Carers Working Group, bringing together young carers, former young carers and young carers organisations from all across Europe and beyond. 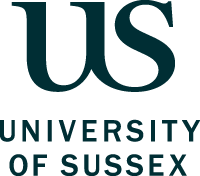 The University of Sussex is a higher education institution established in August 1961 for the advancement of learning and knowledge by teaching and research. In the 2017-18 Times Higher World University Rankings, Sussex was ranked 18th in the UK and 147th in the world. It currently has over 14,000 students and 2,100 staff from all over the world. It has had 3 Nobel Prize winners. Carers Trust is a UK charity, the largest provider of comprehensive carer services in the UK. They operate via a network of 147 local carers’ organisations, 84 provide young carer services. This enables them to reach approximately 500.000 carers each year (in 2016/17, they reached more than 509,900 carers, including 23,162 young carers). These organisations – known as Network Partners- are well embedded in their local communities, working with statutory and voluntary sector organisations locally to reach, support and effectively engage with carers. With a total of 3.000 students, more than 9.500 graduates ad more than 600 lecturers, Kalaidos University is the largest private university in Switzerland. It was the first private university in Switzerland to be officially and fully accredited by the Swiss Federal Council. It is characterized by a high level of flexibility for the individual needs and personal circumstances of its students. It offers 50 bachelor and master study programmes which are designed to enable students to study part-time and be complementary to their work or family responsibilities. Careum Research, the research institute of the Kalaidos University of Applied Sciences, Department of Health Sciencers conducts innovative care and healthcare research with a focus on community-based and patient-centred care. The Netherlands Institute for Social Research (SCP), with around 90 staff and 40 to 50 projects each year, carries out scientific research, both on request and on its own initiative, for and on behalf of the Dutch government and Parliament, as well as for individual ministries and other public authorities. SCP’s ambition is to be the principal organisation carrying out scientific rigorous analyses in the social and cultural fields, which are relevant for government policy. Vilans primarily works for professional and care providing organisations in long-term care, primary care, social care organisations of volunteers in this field, user organisations, SMEs, health care insurers and authorities at local, provincial, national and EU level. Vilans is mainly funded by the Dutch government. It is well-known in the Netherlands for running large scale and nationwide implementation programs, such as the National Dementia program (in which in 90% pf the Dutch regions integrated care networks were set up), the Care for Better Program (around 700 organisations participated in this quality improvement program) and Up to Care! (more than 300 long-term care organisations are currently being transformed to become more sustainable organisations). The National Institute of Health and Science on Ageing (INRCA – Istituto Nazionale di Riposo e Cura per Anziani) is a public care provider based in three Italian Regions (Lombardy in the North, Marche in the Centre and Calabria in the South) in form of geriatric hospitals, residential care facilities, an Alzheimer day care centre and multidisciplinary research units. Thanks to a specific funding granted for scientific purposes by the Italian Ministry of Health, INRCA’s mission is twofold: to provide health and long-term care to older people; to carry out basic, applied and theoretical research on longevity and ageing related issues. The latter tasks is carried out adopting different perspectives: clinical, biological and socio-economic. This last component is performed by the Centre for Socio-Economic Research on Ageing, that has been conducting since over 40 years interdisciplinary studies on the socio-economic aspects of formal and informal care, paying special attention to the role played by unpaid family carers. Anziani e non solo (ANS) is a non-profit organisation working since 2004 in the field of social innovation. Besides an extensive background in EU project management, ANS has specific expertise in supporting the project target group of (young) carers by providing peer-support groups, awareness raising activities in schools, training opportunities (both via e-learning and workshops), counselling services, support to labour (re)insertion and by running an online community dedicated to them. ANS has developed a number of research projects, founded by the EU, focusing on young carers, such as “Care2work”, addressed to BME (Black, Asian and minority ethnic groups) young informal carers aiming to support their smooth transition from caring to adulthood; EPYC, which aims to enhance the skills and knowledge of youth professionals working with young carers; TOYAC focused on young adult carers. The University of Ljubljana, established in 1919, is a public autonomous educational, research and artistic HE institution with rich tradition. It encompasses 23 faculties and 3 art academies. UL ranks among the top 500 universities according to the ARWU Shanghai ranking and among the top “% universities in the world according to the Times ranking. The Faculty of Social Sciences, established in 1961, is one of the largest members of the University of Ljubljana. It provides educational and research activities in the fields of sociology, political sciences, communications, journalism, cultural sciences, international relations, European studies and numerous other disciplines of social sciences. Activities include a specific focus on informal carers and, more recently, also on young carers, which constitute under-investigated topics in Slovenia.